Romance. Free Kindle Romance Books Email Newsletter – Only Romance Book Updates. 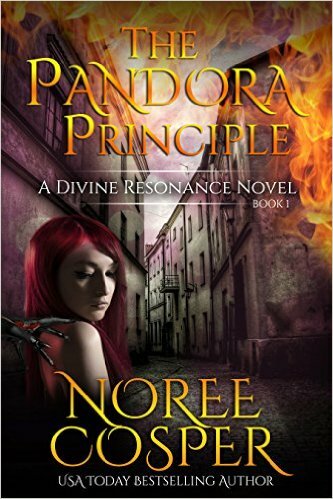 *The Pandora Principle (Divine Resonanace Book 1) (Deal, Not Free) by Noree Cosper, Rebecca Hamilton. Price: $0.99. Genre: Paranormal Romance Deal of the Day, Sponsor, USA Today Bestselling Author, New Adult & College, Mythology & Folk Tales, Fairy Tales. Rated: 5 stars on 1 Review. 204 pages. ASIN: B01A4J8RV0. USA Today Top 100 Bestselling Author Noree Cosper’s dazzling New Release. ***Bring Me You (Never Over You Series Book 1) by Ryleigh Andrews. Price: Free. Genre: Sports Romance, Contemporary, Romantic Comedy. Rated: 4.5 stars on 97 Reviews. 395 pages. ASIN: B00QKKWB10. **The Bold Heart (The Highland Heather and Hearts Scottish Romance Series Book 4) by Carmen Caine. Price: Free. Genre: Scottish Historical Romance, Scottish, Fantasy. Rated: 4.5 stars on 85 Reviews. 318 pages. ASIN: B00I9FT400. *Playing For Keeps (Fantasy Football Romance Book 1) by Liz Matis. Price: Free. Genre: Romance, Sports Romance, Women’s Fiction, Fantasy. Rated: 4.5 stars on 40 Reviews. 244 pages. ASIN: B0063KJIGI. *Some Girls Do (Outback Heat Book 1) by Amy Andrews. Price: Free. Genre: Western Romance, Contemporary, Westerns. Rated: 4.4 stars on 29 Reviews. 186 pages. ASIN: B015GEUFCW. *Quin (The Mystic Series) by B.C. Burgess. Price: Free. Genre: Paranormal Romance, Paranormal, Fantasy. Rated: 4.9 stars on 27 Reviews. 194 pages. ASIN: B00U1LALDO. *Wild Open (The Saving Graces Book 1) by Bec Linder. Price: Free. Genre: Romance, Contemporary, New Adult & College. Rated: 4.8 stars on 24 Reviews. 242 pages. ASIN: B014XHAPDC. *BloodMarked (The Fraktioneers Book 1) by Lu J Whitley. Price: Free. Genre: Romance, Paranormal, Paranormal & Urban. Rated: 4.5 stars on 24 Reviews. 263 pages. ASIN: B00U5BQA58. **Seven Sisters (Seven Sisters Series Book 1) by M.L. Bullock. Price: Free. Genre: Historical Romance, Sponsor, Time Travel, Mystery. Rated: 4 stars on 460 Reviews. 159 pages. ASIN: B00MQ994T6. Reviewers like it: M.L. has an amazing way with words! I absolutely loved this book and couldn’t wait to read the second! Please Note: Cliffhanger Ending. *Falling Awake by Debrah Martin. Price: Free. Genre: Paranormal Romance, Supernatural, Paranormal & Urban. Rated: 4.7 stars on 10 Reviews. 309 pages. ASIN: B014MUC51U. *Vendetta or the Story of One Forgotten by Marie Corelli. Price: Free. Genre: Romance, Victorian, Historical Fiction. Rated: 4.6 stars on 5 Reviews. 350 pages. ASIN: B018UJZLE2. A bestselling romance author at the turn of the century – at the time she was more popular than Doyle and Kipling. Deep Blue Eyes on the Greek Isles by Dimitri Sarantis. Price: Free. Genre: Romantic Suspense, Suspense. Rated: 4.2 stars on 5 Reviews. 515 pages. ASIN: B0186889DM. ***Damian’s Oracle (War of Gods Book 1) (Repeat) by Lizzy Ford. Price: Free. Genre: Romance, Paranormal, Fantasy. Rated: 4.4 stars on 172 Reviews. 272 pages. ASIN: B004JN0KHM. *Pink Slips and Glass Slippers by J.P. Hansen. Price: Free. Genre: Romance, Contemporary Romance. Rated: 4 stars on 262 Reviews. 343 pages. ASIN: B009DQ3V1C. **Ting Tang Tony (Has-Been Series Book 1) by Kat DeSalle, Kristin Leigh Jones. Price: Free. Genre: Contemporary Romance, Sponsor, Romantic Comedy. Rated: 4.8 stars on 62 Reviews. 206 pages. ASIN: B00NPKYYIG. Reviewers love it: The characters worm their way into your heart, and the writing is exceptional! I was overwhelmed by the emotion written into these pages! Ridiculously hot! I have never laughed so hard while reading a story, as I did in this book! I was pleasantly surprised to read such an amazing love story! *On the Accidental Wings of Dragons (Dragons of Eternity Book 1) by Julie Wetzel. Price: Free. Genre: Military Romance, Fairy Tales, Paranormal & Urban Fantasy. Rated: 4.3 stars on 113 Reviews. 237 pages. ASIN: B00W4AE492. *Love Without End by Alyvia Paige. Price: Free. Genre: Romantic Comedy, Contemporary Romance. Rated: 4.7 stars on 13 Reviews. 211 pages. ASIN: B00YZUWFUO. *Myles of Mississippi by Toni Overby. Price: Free. Genre: Romance, Contemporary Romance, Women’s Fiction. Rated: 5 stars on 5 Reviews. 238 pages. ASIN: B018ET7EA2. Reviewer: Southern Romance at its finest! A Thug’s Betrayal by Sativa Outlaw. Price: Free. Genre: African American Romance, Urban. Rated: 4.1 stars on 8 Reviews. 168 pages. ASIN: B0199AUAQ0. Dancing with the Duke by T Burden. Price: Free. Genre: Historical Romance. Rated: 4.8 stars on 4 Reviews. 404 pages. ASIN: B00X318NXO. Crazy About Her (Davis Series Book 4) by Anlyn Hansell. Price: Free. Genre: Romantic Comedy, General Humor. Rated: 4.5 stars on 4 Reviews. 375 pages. ASIN: B00EH0CRTQ. ***A Touch of Midnight (The Midnight Breed Series (Repeat) by Lara Adrian. Price: Free. Genre: Paranormal Romance, NY Times Bestselling Author, Fantasy. Rated: 4.5 stars on 660 Reviews. 184 pages. ASIN: B00DY98LJG. ***Midnight Hunter (The Midnight Hunter Trilogy) (Repeat) by Bonnie Bernard. Price: Free. Genre: Contemporary Romance, Literature & Fiction, Contemporary Fiction. Rated: 4.5 stars on 95 Reviews. 426 pages. ASIN: B005G828V0.